In this article we will discuss about NABARD (National Bank for Agriculture and Rural Development) : Introduction, Function and Role. It is an apex bank of India which regulates and develops agricultural as well as rural development. It was established in 12 July 1982 and its headquarters are located in Mumbai with its branches in all over India. The main concern of this apex institution is to provide credit facility to Agricultural and other rural areas in India. It also provides necessary finance to small industries. After independence the government of India has decided to improve rural and agriculture credit development. The government of India has decided to set up committee which the credit worthiness in rural and agricultural sector. 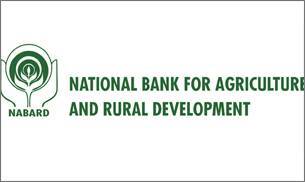 National Bank for Agriculture and Rural Development was established in 12 July 1982 by the Parliament Act 61, 1981. Its main objective is to replace agriculture Credit Department and Rural planning and Credit cell. This committee was called All India Rural Credit Survey Committee. It was headed by Mr.Gorewalla. It has been controlled by RBI. The major function of RBI to provide fund to different sector which helps in development of Agriculture and rural sector. It provides credit facility to rural and agriculture sector for its development. It establish link between credit agencies to facilitate credit. It also runs programs for rural and agriculture development. It is engaged in regulations of the cooperative banks and the RRB’s, and manages their talent acquisition through IBPS CWE conducted across the country. It also inspects and supervises the cooperative banks and RRBs to periodically ensure the development of the rural financing and farmers’ welfare. To serve as apex financing institutions to provide credit for development of rural areas activities. It prepares news credit plans. It serves as apex financial institution which provides credit to development of rural and agriculture. It regulates RRB and other financial institutions. It regulates the institutions which provide financial help to rural economy. Providing refinance to lending institutions in rural areas. we have studied NABARD (National Bank for Agriculture and Rural Development) :Introduction, Function and Role. if you have any query please comment.